2014 June | Federation of North-American Explorers | Semper Parati! Margaret Mary Alacoque was born in Burgundy, France on July 22, 1647. As a child, she was suffering from rheumatic fever and stayed in bed for four years due to the disease. During that time, she developed an intense devotion to the Blessed Sacrament and made a vow to the Blessed Virgin Mary to enter a convent as a nun. As a result, the Blessed Virgin Mary visited her and healed her. Mary asked her to give her life to God and later on, after having seen a vision of Christ’s scourging, she entered the Order of Our Lady of the Visitation at Paray le Monial at the age of 23. Shortly after, Our Lord was visiting her asking her to be the instrument of the devotion to His Sacred Heart. Our Lord gave her also the promises attached to this devotion. 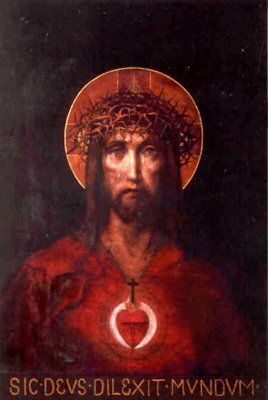 The all-powerful love of My Heart will grant to all those who shall receive Communion on the First Friday of nine consecutive months the grace of final repentance; they shall not die under my displeasure, nor without receiving the Sacraments; My Heart shall be their assured refuge at that last hour.